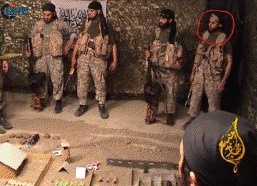 Omani jihadist Ayman bin Saeed with other Haqqani Network fighters before the assault on FOB Salerno. Image from the SITE Intelligence Group. A jihadist from Oman was killed during the Haqqani Network suicide assault on a major US base in eastern Afghanistan in June, according to a martyrdom statement posted today. The suicide assault was promoted by the Taliban on their propaganda website. Ayman bin Saeed, who was also known as Abu Abdul Rahman al Omani, was one of the 11 members of the Haqqani Network suicide assault squad who attacked Forward Operating Base Salerno in Khost province on June 1, according to a statement released on the al Qaeda-linked Shumukh al Islam Internet forum. The martyrdom statement was translated by the SITE Intelligence Group. The attack on FOB Salerno resulted in the deaths of two civilian contractors and one US soldier inside the base; scores more soldiers were said to have been wounded in the attack. The Haqqani Network fighters were able to penetrate about 50 to 60 meters before being gunned down during a firefight. The base also suffered heavy damage; photos of the aftermath show the caved-in roof of the FOB’s large dining facility and the wreckage of the demolished post exchange. An RC-East spokesman told The Long War Journal that the damage to the facilities resulted from the large blast wave that followed the initial car bomb [see LWJ report, New details emerge about complex attack on FOB Salerno]. The martydom statement said that Ayman bin Saeed was “from the area of al Batina North, al Suwaiq province” who “took off in the Cause of Allah as an emigrant with his soul and body to the arenas of jihad,” according to SITE. Saeed waged jihad for “over three and a half years” before he was killed during the attack on FOB Salerno. Ayman bin Saeed (right) during a briefing with the Haqqani Network before the assault on FOB Salerno. Image from the SITE Intelligence Group. Numerous images of Saeed, including several of him in the Haqqani Network’s video of the assault, and one of him after his death, were released along with the statement. Saeed is seen sitting with other fighters dressed in US military uniforms, and is also pictured during a pre-mission briefing. The statement said that the “list of martyrs from the sons of Oman” is “getting longer every day,” and named two other Omani fighters killed in Afghanistan this year. “In the near past it was Abu Obeida al Omani, then Abu Hamza joined, and today it is Abu Abdul Rahman who leaves us while staying firm on the covenant,” it continued. Abu Obedia al Omani’s real name was Yusuf Ahmed Ali. He was 19 years old when he was killed in the “Khorasan,” according to a martyrdom statement that was released on jihadist websites on Jan. 9 [see LWJ report, Omani jihadist killed during fighting along Afghan-Pakistani border]. Abu Hamza’s real name was Abdullah bin Khamis al Balochi. He was killed in a US airstrike on May 5, 2012 along with several other “brothers and supporters” who were not identified [see LWJ report, Omani jihadist killed in US airstrike in ‘Khorasan’]. The announcement of Saeed’s death in the Haqqani Network raid shows that the Afghan Taliban endorses foreign jihadists conducting suicide operations in Afghanistan. 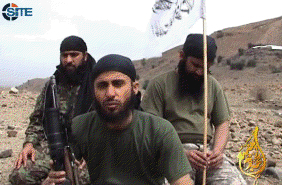 The Afghan Taliban promoted the Haqqani Network video that glorified the suicide assault on FOB Salerno. The video was released on Voice of Jihad, the Taliban’s official website [see LWJ report, Taliban release video of Haqqani Network suicide assault on FOB Salerno]. While not stated, Saeed was likely a member of al Qaeda, or one of the numerous al Qaeda-linked foreign jihadist groups operating along the Afghanistan-Pakistan border. In addition to al Qaeda, a host of foreign terror groups cooperate with the Haqqani Network in eastern Afghanistan and shelter in Haqqani areas in North Waziristan, Pakistan. Those groups include the Islamic Movement of Uzbekistan and its offshoot, the Islamic Jihad Union; the Caucasus Mujahideen in Khorasan; Taifatul Mansura (Victorious Sect); Jund al Khilafah (Soldiers of the Caliphate); and the Eastern Turkistan Islamic Movement. The Haqqani Network, a powerful Taliban subgroup that operates in eastern and northern Afghanistan, is closely allied with al Qaeda and is known to train and fight with al Qaeda in both Afghanistan and Pakistan. The Haqqani Network has also sheltered top al Qaeda leaders in the Pakistan’s Taliban-controlled tribal agency of North Waziristan. Since 2008, nine top Haqqani Network leaders have been placed on the US’s list of global terrorists; six of them were designated in 2011. All of them have ties to al Qaeda. [For more information on the Haqqani Network, see LWJ report, Senior Haqqani Network leader urges Turks to wage jihad in Afghanistan]. Sirajuddin Haqqani, who serves as a member of al Qaeda’s executive council, is also the leader of the Miramshah Regional Military Council, one of the Afghan Taliban’s four regional commands. Two of the other three leaders of the Afghan Taliban’s Regional Military Councils are closely tied to al Qaeda [see LWJ report, Taliban appoint al Qaeda-linked commander to lead Peshawar shura]. “We do not see any difference between Taliban and Al Qaeda, for we all belong to the religion of Islam. Sheikh Osama [bin Laden] has pledged allegiance to Amir Al-Mumineen [the Leader of the Faithful, Mullah Muhammad Omar] and has reassured his leadership again and again. There is no difference between us, for we are united by Islam and the Sharia governs us,” Sangeen told As Sahab, al Qaeda’s media arm, in an interview released in September 2009. Additionally, Sangeen issued a video just this month in which he urged Turks to wage jihad in Afghanistan and said that the fight would continue after the Afghan war was over. Sangeen told the Turks that “jihad is not only in Afghanistan,” and said that “America will leave here in disgrace.” Afterwards, the Taliban will fight to establish a global caliphate, he stated [see LWJ report, Senior Haqqani Network leader urges Turks to wage jihad in Afghanistan]. Correction: Major Paul Haverstick, the RC-East Public Affairs Director, provided updated casualty numbers for the attack. One US soldier, two civilian contractors, and 11 Haqqani Network fighters were killed during the assault. An RC-East public affairs officer told The Long War Journal on June 10 that seven civilian contractors were killed, and on June 16, The Washington Post reported that two US soldiers were killed in the attack. This article has been updated to reflect the new casualty figures.